Our mobile devices are capable of some amazing gaming experiences, many that can rival console and handheld games. But the touchscreen has been a divisive input for more traditional gaming experiences, and I’d argue that the most ideal controls on mobile are single-tap affairs that utilize the entire touchscreen as one big button. Then it would also stand to reason that games you control in real life with just a single input should translate really well to that single-tap touchscreen control. Enter slot cars. While the history of slot cars goes back more than a hundred years, it wasn’t until the 1960s that it became a huge craze in America, and that continued on through the 70s and 80s with slot car race tracks becoming a common toy for children (I certainly loved mine) and continues to be a popular hobby today for folks of all ages. Slot cars are literally little race cars with notches that stick into a slot carved out in the track, so the actual steering is handled for you and your job as a racer is simply to control the acceleration and deceleration to take all the track’s corners without flinging yourself off the track, but not so slow that your opponent is able to cross the finish line first. This single-input style of game is just perfect for a mobile touchscreen game, and way back in the day Freeverse (and later Strange Flavour) thought so too with their SlotZ Racer series which originally launched in January of 2009. Yeah, I just checked a calendar and that was more than a decade ago. Where does the time go?? 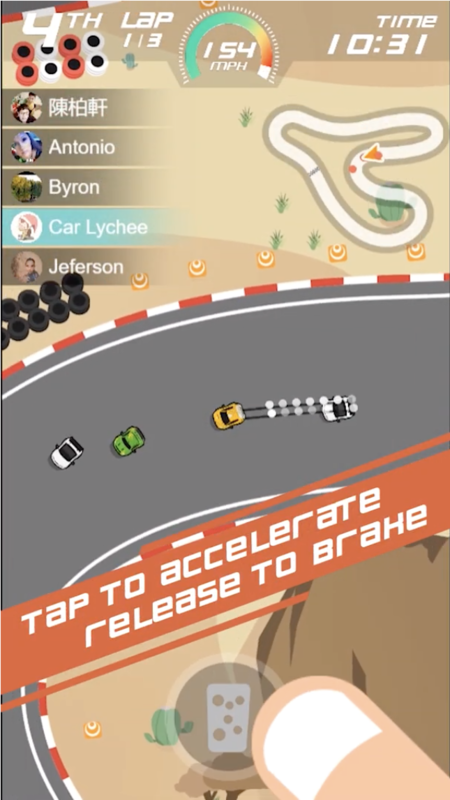 Even all these years later the idea of a single-tap racing game is a great one for mobile, and so now the torch is being carried on by a developer called Potato Play and their forthcoming game Pocket Racing. Check it out. While the SlotZ Racer games were all polygonal 3D, Pocket Racing is a more simplistic top-down game and much to my delight it’s designed to be played in portrait orientation with just one thumb. It seems to feature a whole bunch of different tracks to race on as well as a huge assortment of different vehicles to unlock and upgrade. It also has a really great sense of speed and smoothness, probably in large part due to its more simplistic visual style. That doesn’t mean it looks bad by any means though, and I actually dig the cartoon-ish and colorful look of Pocket Racing. 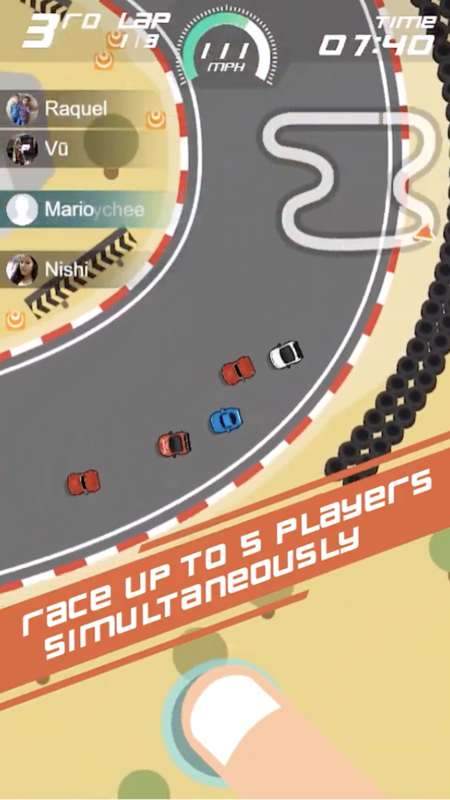 There’s also a leaderboard element so you can see how you stack up against the world and as with physical slot car racing this will test your ability to control your acceleration through corners and find the absolute best line through each track. If you’re digging the look of Pocket Racing like I am then look for it when it hits the App Store next Thursday, February 28th. [Game Finding] Look for a old game about DragToMove AutoShoot Protect.